The 2019 Hyundai SANTA FE LIMITED. Room for five, but entertaining for all. With a base engine of 190HP and an optional engine of 264HP, the Santa Fe was aerodynamically designed to deliver 27MPG highway with either engine. Spacious, with 71.5 cubic feet of cargo room due to the 40/20/40 split rear seats that not only fold flat but also slide and recline for your passengers. Three selectable steering modes...Comfort, Normal, and Sport to reflect your driving style. Technology abounds...many items standard, some are optional, including a 360* camera. 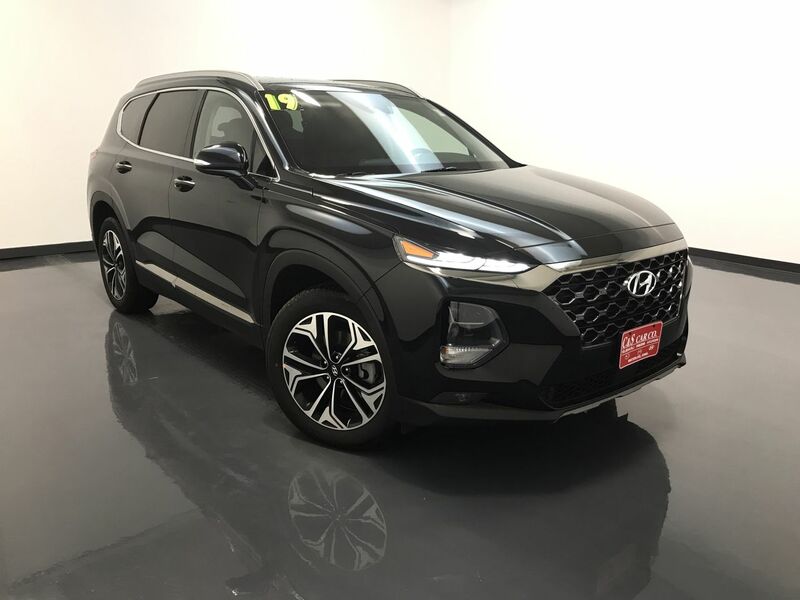 The Hyundai SANTA FE LIMITED 2.0T AWD with the optional carpeted floor mats, cargo tray, rear bumper applique, cargo cover, first aid kit, and cargo net, from the manufacturer with America's best warranty, backed with quality vehicles that are highly tested. It's a company that's supplying over 94,000 jobs in the USA. Hyundai. A brand name that you can truly put trust in.